- I (kind of) got an internship! I want to study political science in college, so I've always wanted to intern on a campaign. I've been working around five hours a day almost daily on the campaign of the Democrat planning to challenge the Republican representative from my Congressional District. YES, I KNOW I PROBABLY JUST BORED Y'ALL TO DEATH IN TWO SENTENCES. *bangs pots and pans to wake you up* Seriously, though, it's been incredibly fun and rewarding so far, even though I haven't been doing super high-level stuff. - I read 7 books this month. Which isn't great, but it's not horrible, either. Best: The Girl Who Soared Over Fairyland and Cut the Moon in Two. Worst: Note to Self. - I binged House of Cards. I started watching this show.....a year ago? I remember being pretty "meh" about it, probably because n o t h i n g will ever compare to The West Wing. I put it aside, but I recently picked it up again and just!! SO GOOD. - I'm also headed to AnimeIowa! This will be my first time attending an anime con, so I'm pretty psyched. I'll (probably) be cosplaying Lorna from Over the Garden Wall and Asuna from Sword Art Online. - I NEED TO GET WORKING ON MY SUMMER GOALS. Guys. Remember this list of summer goals I posted a month ago? I've barely made any progress. *cry* Special priority: watching anime, writing, and service hours. ....because SO many bloggers put out awesome content this month. Savannah @ Scattered Scriblings recommended 7 must-reads for your summer TBR and shared 7 books on her own. Well, my TBR's just exploded. Serena @ Poetree shared her thoughts on reconciling faith and political party. We so often associate these religions with conservatism and those beliefs with liberalism, but there are so many people in different places on multiple spectrums! 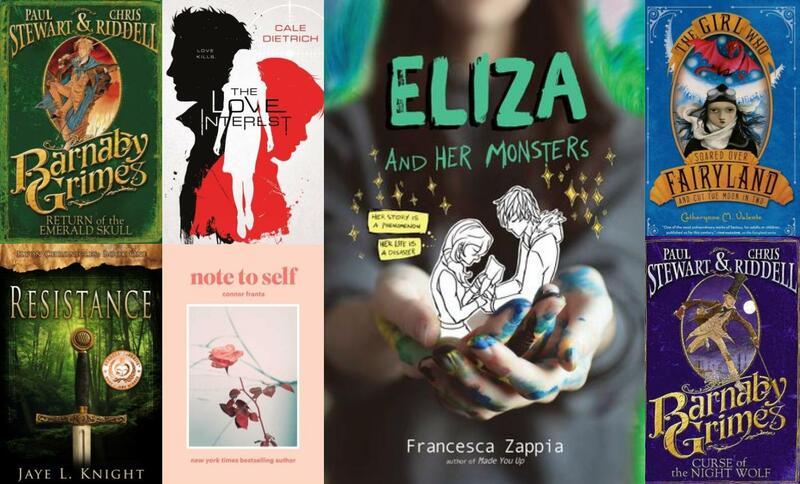 Anna @ Annaish compiled a list of LGBT+ books representing a plethora of sexualities and genders. As a member of the LGBT+ comm, it was so awesome to see an ally take the time to create such a great list. Finally, Loren @ Let's Be Lost wrote a beautiful post about All Time Low's new album in a pretty unique way. Seriously, guys, you HAVE to check this one out. I LOVE THE SCRIPT! And congrats on your internship, and you certainly aren't boring Ellie DONT YOU DARE SAY THAT. It sounds awesome and i'm glad it worked out. Have fun on your vacation! OH MY GOD THAT SOUNDS SO AWESOME. I went into an old bookstore in NOLA, and there were some beautiful illuminated manuscripts. I ended up getting a few Star Trek books :) Yess, coffee and bookstores is The Ultimate Aesthetic. dude, I will admit it--poli sci sounds super boring to me, but every political science major I've met has been absolutely in love with that field, so I guess that says something good about it! also, as a fellow social sciences major, I'd just like to say--welcome to the madness. :D congrats on the internship! 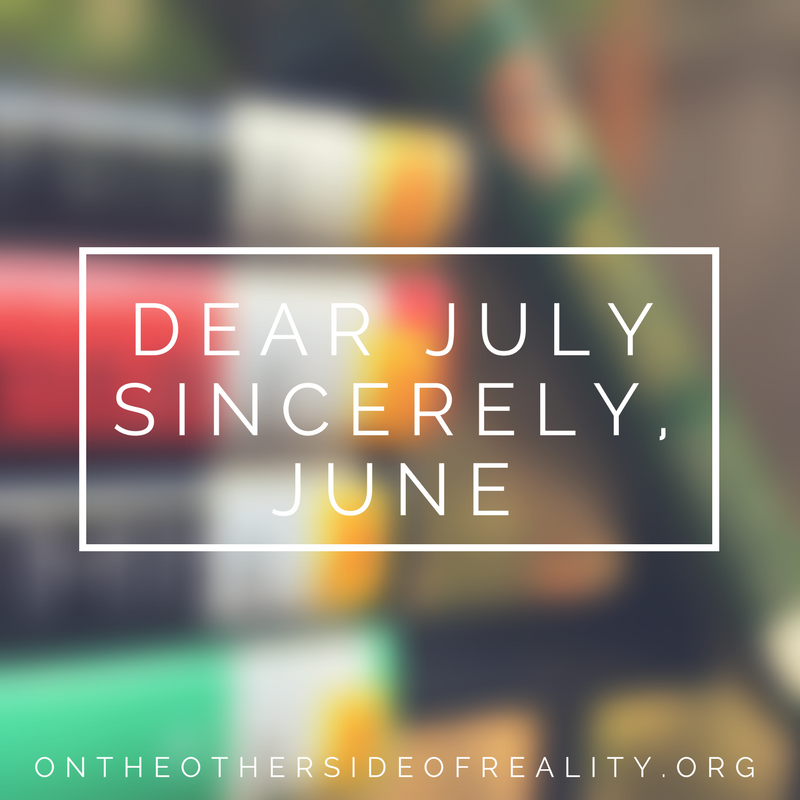 hope your July is fantastic! Haha, it's definitely something you have to adore in order to stand it for over two seconds. I do love it, though!! Haha, thank you! Awwww. Does your library have it? That's where I got my copy. Ahh, thank YOU for being such a lovely commenter! I hope you like them :) happy July! P.S: Thanks for sharing my post!! Thank you, ahh! SAME DUDE SAME. How exciting about your internship! Being a part of something you love is well worth it! Congratulations on your internship, Ellie! I hope it's everything you want it to be. I'm reading Eliza and her Monsters soon, what did you think of it? Thank you! I LOVED IT SO MUCH A G H. It was a very close runner-up for best June book <3 I hope you enjoy it!